Posted by Dave Emory ⋅ May 3, 2015Post a comment Email This Post Print This Post Tweet This! Listen: MP3 This program was recorded in one, 60-minute segment. Introduction: The ninth interview with Peter Levenda, this program sets forth the historical and ideological foundation for the postwar perpetuation and operation of Nazism–“The Hitler Legacy.” Mr. Emory views this book as one of the most important political volumes ever written. Listeners are emphatically encouraged to purchase it, read it and tell others about it. This interview opens with Peter further developing analysis of a mysterious cast of characters linked to Nazi and Japanese gold in Indonesia and the derivative “Revolutionary Fund” of former Indonesian president Sukarno. Briefly highlighted at the end of FTR #845, the enigmatic cast of this open-ended drama figure in the clandestine Nazi underground in Indonesia and the power politics surrounding that presence. The foundation for the postwar activities of what Mr. Emory calls The Underground Reich is money. It is the foundation for much of what Peter discusses in this magnificent book. Illustrating the scale of the clandestine Nazi money machine that effected the Third Reich’s economic diaspora, Peter highlights a monumental gold shipment to Brazil, through the Bank for International Settlements. This shipment would be worth more than 17 billion US dollars today. Peter’s discussion of the mysterious Dr. Poch and his wife, two apparent Nazis who adopted the credentials of a real doctor, in order to go underground. A bestseller in Indonesia alleges that Dr. Poch was actually Hitler and that he married an Indonesian woman after parting ways with Eva Braun. In that context, Peter notes that the skull supposedly belonging to Hitler was revealed to have been that of a woman unrelated to Hitler. The point, here, is that–whether or not the allegation about Poch being Hitler is accurate–Hitler almost certainly appears to have escaped. One of the people behind the Poch/Hitler allegation is a doctor Sosro Husodo, enigmatic in, and of, himself. Years after the 1965 overthrow of Sukarno by the CIA, family member and associates of Sukarno surfaced claiming to have certificates valid for part of the enormous treasure subsumed under the Revolutionary Fund. Instructive as to the treatment generally afforded those presenting such certificates is the fate of Dr. Edison Damanik. Exemplifying the mysterious and open-ended nature of the inquiry into Sukarno’s Revolutionary Fund and the Axis loot that appears to have comprised much of it is the career of Indonesian weapons dealer Soeryo Goeritno, who suffered great misfortune when he attempted to probe the tangle of briars surrounding the clandestine wealth in Indonesia and the mysterious Dr. Poch. Klaus Barbie and his “Fiancees of Death” cocaine mercenaries in Bolivia–their links to the ODESSA network, the Merex firm, and Operation Condor. 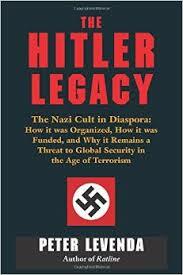 The Hitler Legacy by Peter Levenda; IBIS Press [HC]; Copyright 2014 by Peter Levenda; ISBN 978-0-89254-210-9; p. 300.
. . . . By far the best source for funding for the post-war German renaissance came, of course, from German industry itself. Companies such as Thyssen had diversified their holdings worldwide in the years before the German defeat and managed to safeguard their assets with considerable American assistance. It is discouraging to learn that some of America’s most influential businessmen and politicians were deeply involved with this effort, and in helping protect these assets from Allied attempts at securing reparations–and in divesting German industry of any assets that could be used to develop a war capability in the future. On the contrary, political and economic dynasties such as the Bush-Harriman-Walker nexus saw to it that American companies that were engaged in questionable, if not treasonous activities, during the war were protected and allowed to thrive. In order to do this, they also had to protect the German corporations which owned all, most, or a considerable percentage of the shares of the American companies. Most Americans are not aware that Standard Oil began its life as a German company, and that its most important board member was also a member of the Freundeskreis Himmler: Emil Hefferich. Or that the estimable Schroeder Bank was actually the bank owned and controlled by Baron Kurt von Schroeder, of the same Freundeskreis Himmler. The Union Banking Corporation (UBC) that was so crucial in moving funds for the Reich, and whose assets were seized by the US Government under the Trading with the Enemy Act, was actually a creation of the American firm Brown Brothers Harriman as a strategy for holding the shares of the Thyssen bank, Bank voor Handel en Scheepvaart, N.V. These were the corporations (along with Henry Ford, ITT, IBM, and so many others) that had backed Hitler from the earliest days. Just as the Nazis did not abandon their ideals with their military defeat, the American supporters did not abandon the Nazis. . . .
3. Illustrating the scale of the clandestine Nazi money machine that effected the Third Reich’s economic diaspora, Peter highlights a monumental gold shipment to Brazil, through the Bank for International Settlements. This shipment would be worth more than 17 billion US dollars today. The Hitler Legacy by Peter Levenda; IBIS Press [HC]; Copyright 2014 by Peter Levenda; ISBN 978-0-89254-210-9; p. 298.
. . . . For instance, we learn that as late as March 1945 the Reichsbank–through the auspices of the Bank for International Settlements (BIS) under its American president Thomas McKittrick–transferred the incredible amount of 500, 813.00 kilograms of fine gold for the account of the Bank of Brazil. Five hundred thousand kilos represents 1,100,000 pounds of gold. Each pound consists of sixteen ounces, making 17,600,000,000.00 or an amount in excess of seventeen billion US dollars. Tantalizingly, that data was obtained from a declassified US government file dated May 15, 1945, in a box labeled “Vatican City (Correspondence File).” One can only imagine what the relationship was between this gold transfer to the Bank of Brazil and Vatican City. . . .
A note on Hella Pöch – if one looks carefully at the title page of her 1957 article (her only one post-war and strangely based on old research from Africa rather than anything from Indonesia, one sees that she, or whoever was using her name, nonetheless was making no effort to hide her whereabouts at that time: “z.Z (i.e. ‘at present’)Sumbawa besar, Indonesien”. Hiding in plain sight? One of the many interesting open questions about the South American activities of the post-war Nazi diaspora is what role it may have played/still played in the South American drug trade. Especially given the history of Klaus Barbie and the Bolivian “cocaine coup”. 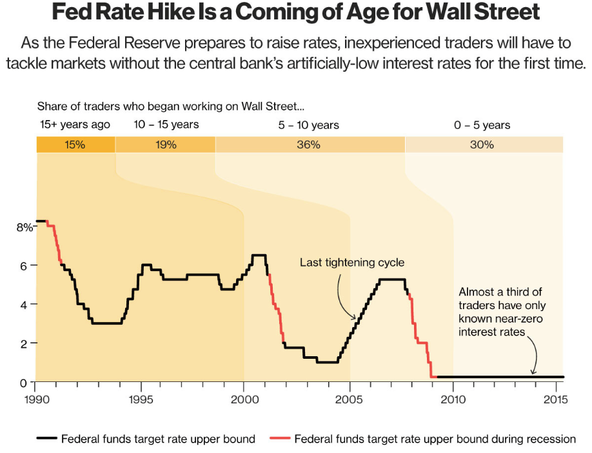 Most people don’t realize that “the markets” are in reality 22-27 year old business school graduates, furiously concocting chaotic trading strategies on excel sheets and reporting to bosses perhaps 5 years senior to them. In addition, they generally possess the mentality and probably intelligence of junior cycle secondary school students. Without knowledge of these basic facts, nothing about the markets makes any sense—and with knowledge, everything does. Is cocaine fueling Wall Street? Seems very possible. But considering the proximity of the Nazi diaspora to the heart of the cocaine trade, you really have to wonder just how coked out South America’s Nazis have been all these years? Something like that sure would help a movement dead set on rising again (metaphorically speaking). That said, cocaine may not be the Underground Riech’s drug of choice. But regardless of what they may have been snorting of not, the question of the potential role played by the Nazi underground in South America is one of those difficult to answer questions that’s probably going to remain very relevant for many years to come.